- Physical Camera support is added. Note: in versions prior to 2016, when exporting VrayPhysicalCamera, the Field Of View parameter (Zoom in AE) may assumes an incorrect values. That's because of "Lens breathing" effect, which involves FOV change, but in fact it not affects on camera's fov property. The first solution is to specify fixed FOV by a checkbox. The second is to manually adjust Zoom parameter in AE after an export. 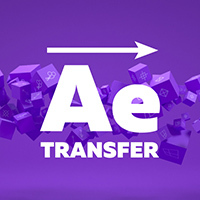 - After Effects CS5 support is added. - "Pre-compose each Plane" option.